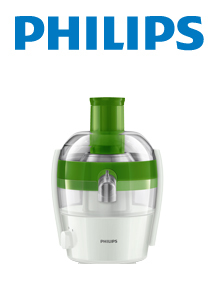 The new HR1832/51 Juicer from Philips can make up to 4 servings of juice in one go. Featuring a 1L pulp container, quick cleaning function and drip stop technology. With a 500w motor why not start your day with a glass of sunshine?